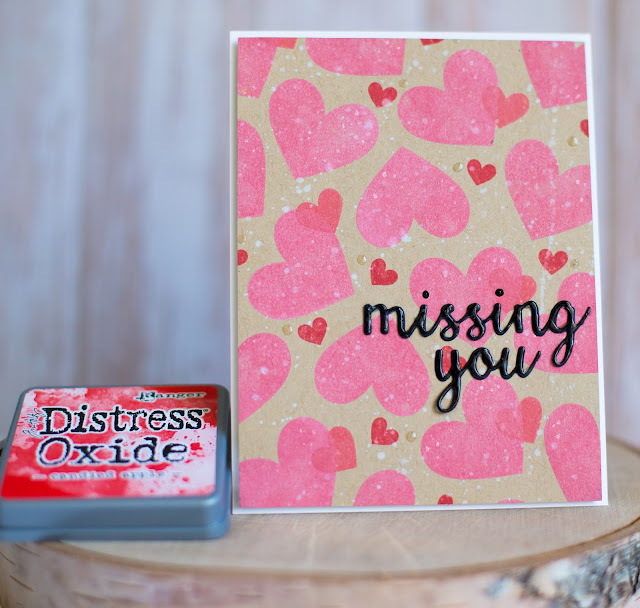 The Simon Says Stamp Wednesday Challenge is to use Ranger products and Splatter It! I used the Distress Oxide Inks to stamp on the Kraft cardstock and then I used Distress White Picket Fence ink to flick white splatters on top. You can see all the supplies I used linked down below! Thanks so much for stopping by! Beautiful card! Such wonderful stamping! Love that pretty background!! Great design too!